Got Bees? We Rescue, Remove & Relocate. 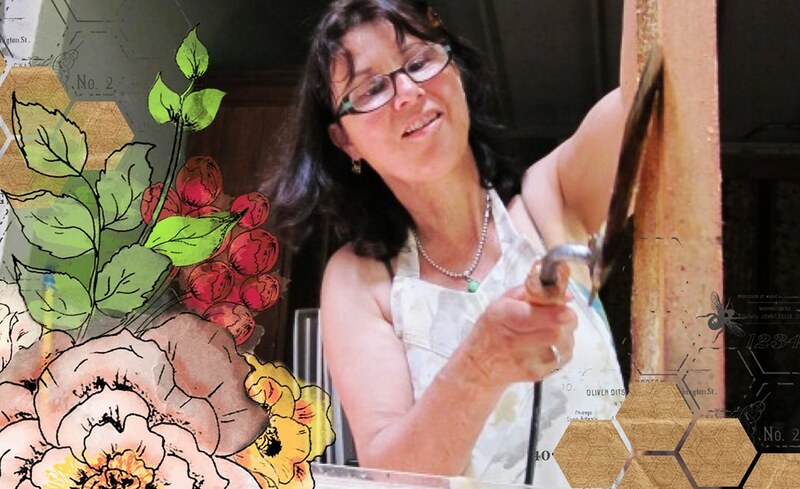 Backyard Bees offers an alternative to honeybee extermination. 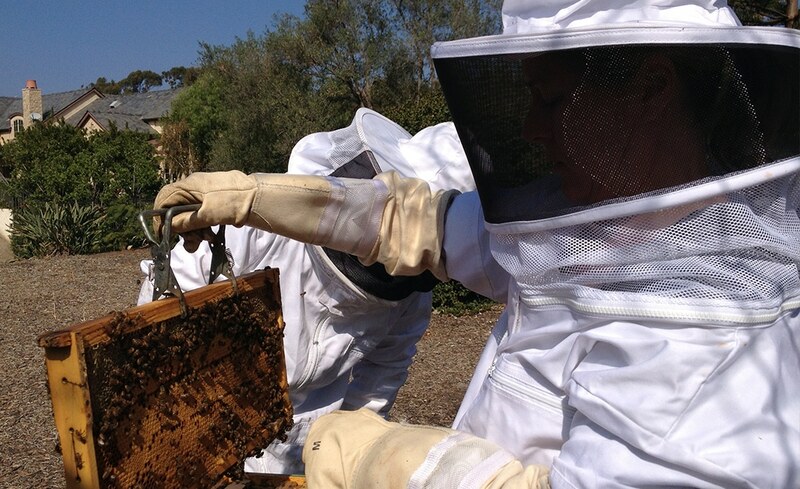 We remove bees from your home, property or business without the use of pesticides. 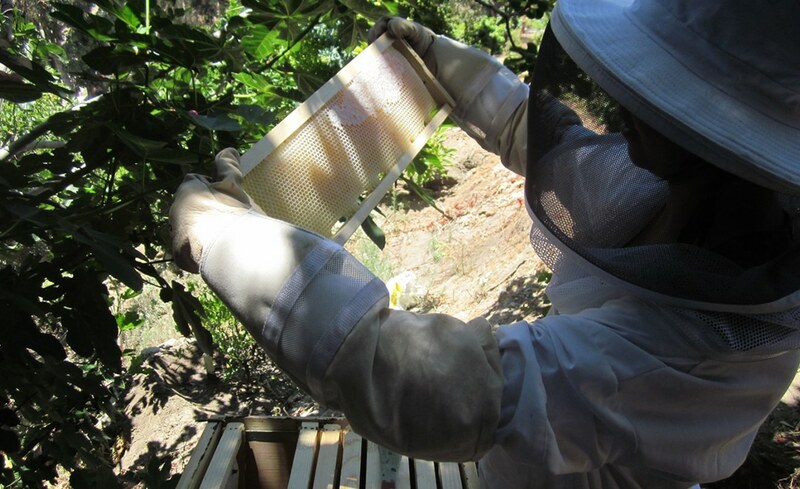 Accessible honeycomb, honey and bee colonies are skillfully relocated into a wooden hive box and are allowed to continue pollinating in local Orange County gardens, small farms and apiaries. Whether you care about the plight of the honeybee (there is a world-wide bee crisis) or you just need them removed from your premises, Backyard Bees is here to help. In order to do a live removal, the bees and the comb must be visible. Due to the small size of our business, we cannot do removals that involve cutting into walls, that are high up in the eves of the house, etc. If this applies to you, we may suggest calling an exterminator. Removals will be around $200, possibly more depending on their location and ease of access. Text or email us for an estimate to safely remove the bees. 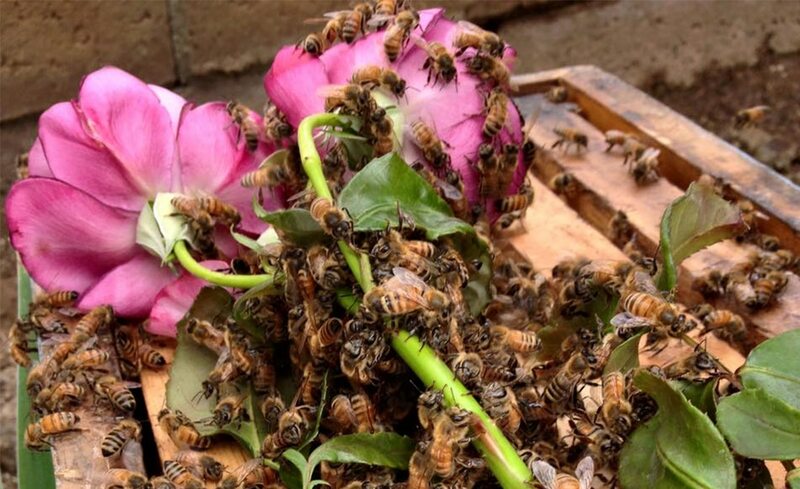 Pesticide Free Honeybee Rescue…It’s the right thing to do. Every third bite of food we eat is pollinated by honeybees. 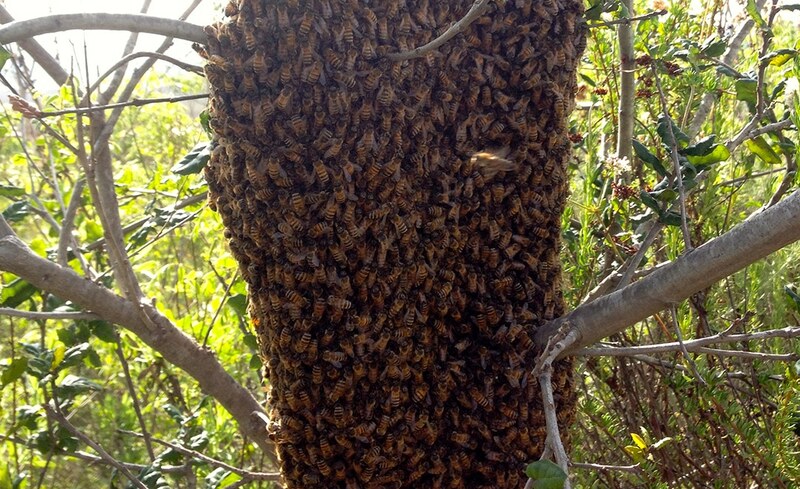 Swarms: It is important to understand the difference between a hive or colony (synonymous terms) and a swarm, which is defined as a temporary group or clump of honeybees that has attached itself to a structure on a client’s property. Generally speaking, one should not worry about this temporary holding pattern that honeybees use while searching for a new hive location. The bees will typically disperse on their own in a matter of three to seven days. If, however, you would like us to remove and or manage the swarm, we will do that. Just call us for details and our fee.